The Ventura II was introduced in 1971 as Pontiac’s version of the Chevrolet Nova, and was intended to give Pontiac dealers an efficient compact to widen the brand’s appeal. The division’s signature divided grille set the model apart from its corporate sister, as did fancier trim. The car’s base engine was a 145-hp, 250-cid six-cylinder motor coupled to a three-speed manual transmission. Optional was an automatic transmission, as well as a 307-cid V-8 that produced 200 hp. Both a coupe and sedan were available, with 35,000 of the model’s 50,000 buyers choosing the two-door. Few changes were noted for the 1972 model, except for a sliding canvas sunroof. A Sprint trim option was offered, as was a fancier Sprint SD variant. The Sprint SD, of which only 500 were made, was unique to California and carried a 350-cid V-8 motor. The Ventura gained a custom line and a hatchback in 1973 as the gas crisis hit home, and sales soared to 96,500. Both lines offered a 350 cubic inch V8 option, in 150-hp and 175-hp guises. Sprint models carried a Firebird-style grille, which was later extended to all Venturas in 1974. 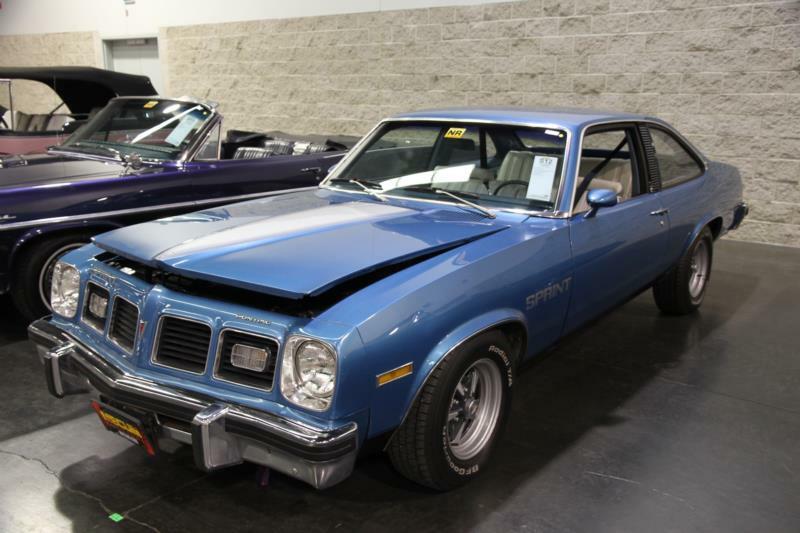 Most notably for 1974 was the Ventura GTO option, which included a 350-cid V-8 good for 200 hp, and marked the last time Pontiac would use the name for 35 years. Sales figures and options matched the year before, with the addition of 7,058 GTO packages. The Nova-bodied Venturas of the 1970s currently have a limited following, though interest is picking up as prices on other collectible 1970s Pontiacs increase. Buyers tend to look for Sprint and SD coupes, as well as the GTO.